Have the experts at Raitto Engineering & Manufacturing, Inc. handle your injection molding services. 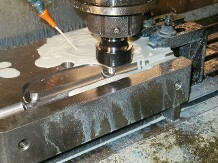 Our company is able to create custom plastic parts for the medical , electronic , Industrial and tactical industries. Streamline your company's processes with our fulfillment services. We can also drop ship your injection molded plastic products directly to your clients. 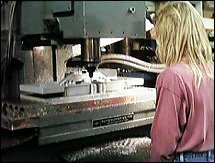 Trust Raitto Engineering & Manufacturing, Inc., a Plastic Injection Molding & Mold Making Company in Wheelwright, Massachusetts, for your custom injection molding services. Since 1968, we have provided clients with affordable solutions and realistic turnaround times. We are a small company that is able to prioritize your part designs, prototype parts, and injection mold building better than other larger companies do. Our staff loves working with our clients and creating new and exciting products. Contact us to request more information about our experienced Manufacturing Company in Wheelwright, Massachusetts.